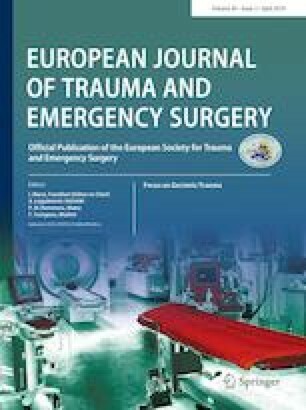 A systematic review of 3251 emergency department thoracotomies: is it time for a national database? Emergency department thoracotomy (EDT) is a potentially life-saving procedure, performed on patients suffering traumatic cardiac arrest. Multiple indications have been reported, but overall survival remains unclear for each indication. The objective of this systematic review is to determine overall survival, survival stratified by indication, and survival stratified by geographical location for patients undergoing EDT across the world. Articles published between 2000 and 2016 were identified which detailed outcomes from EDT. All articles referring to pre-hospital, delayed, or operating room thoracotomy were excluded. Pooled odds ratios (OR) were calculated comparing differing indications. Thirty-seven articles, containing 3251 patients who underwent EDT, were identified. There were 277 (8.5%) survivors. OR demonstrate improved survival for; penetrating vs blunt trauma (OR 2.10; p 0.0028); stab vs gun-shot (OR 5.45; p < 0.0001); signs of life (SOL) on admission vs no SOL (OR 5.36; p < 0.0001); and SOL in the field vs no SOL (OR 19.39; p < 0.0001). Equivalence of survival was demonstrated between cardiothoracic vs non-cardiothoracic injury (OR 1.038; p 1.000). Survival was worse for USA vs non-USA cohorts (OR 1.59; p 0.0012). Penetrating injury remains a robust indication for EDT. Non-cardiothoracic cause of cardiac arrest should not preclude EDT. In the absence of on scene SOL, survival following EDT is extremely unlikely. Survival is significantly higher in the non-USA publications; reasons for this are highly complex. A UK multicentre prospective study which collects standardised data on all EDTs could provide robust evidence for better patient stratification. The authors have no conflicts of interest to declare and received no funding for the production of this manuscript. This research involved no human or animal participants, therefore informed consent was not required for the production of this manuscript.